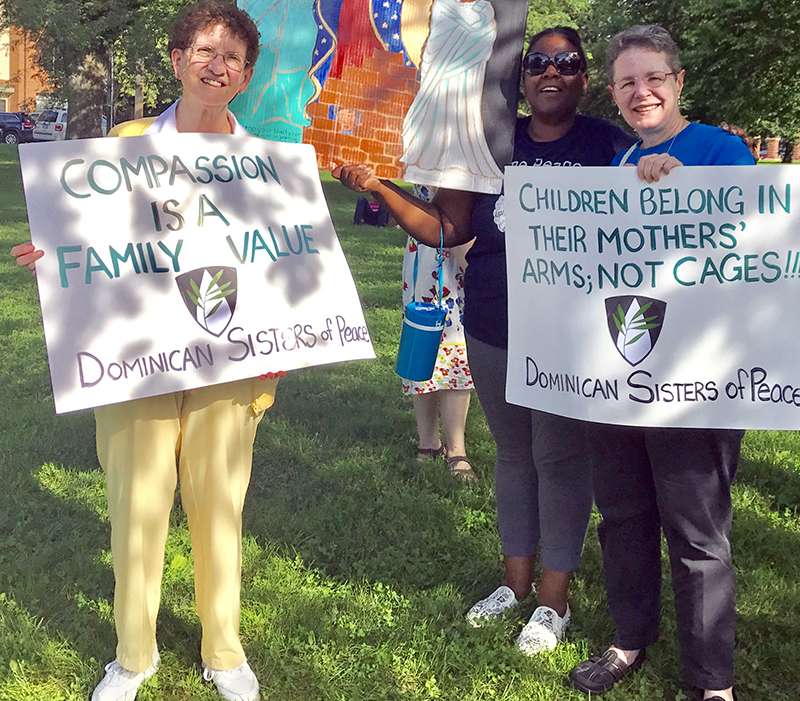 Dominican Sisters of Peace Shawn Fitzpatrick, OP, staff member Gaye Reissland, and Sister Barb Kane, OP, at the “Families belong Together” rally in Columbus, OH, on June 14, 2018. 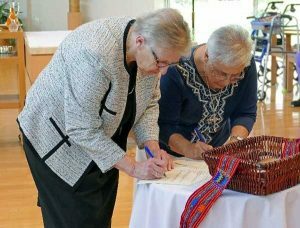 Sisters Mary Murray, OP (left) and Veronica Mendez, RCD (right) signing the Covenant Relationship documentation on June 7, 2018. 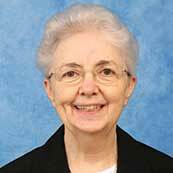 SPARKILL, NY, June 7, 2018 – Two congregations of women religious based in Rockland County, NY, the Dominican Sisters of Sparkill and the Sisters of Our Lady of Christian Doctrine, formally entered into a Covenant Relationship today. This Relationship is a commitment and a promise between the two religious institutes to face the future together, as one institute completes its journey and the other assists in that completion. In planning for their future, the members of the Sisters of Our Lady of Christian Doctrine determined that due to their demographics they needed assistance with governance and the management of the day-to-day and future affairs of their members and ministries. In a process that began years ago, the Sisters sought out a partner congregation to work with them in these areas of leadership and administration. The Christian Doctrine and Sparkill Congregations were a strong fit for this relationship, each with a similar founding mission (to work with immigrants, particularly women and children, in New York City) and being located close to each other with many of their Sisters having known each other and worked together over the years. Columbus, OH – On June 14, 2018, people of faith throughout Ohio took part in rallies to bring attention to the issue of family separation enacted by the Trump administration. The event, titled “Familias unidas no dividas” (Families belong together), was part of a national day of action to protest the administration’s policy of separating children and their parents at the southern border of the country, a policy that has been roundly citizen by leaders of all faiths as well as by the United Nations and other humanitarian groups.